*Our Spa Bath begins with a gentle Hydrosurge of warm water massaging the entire body...cleansing and renewing. 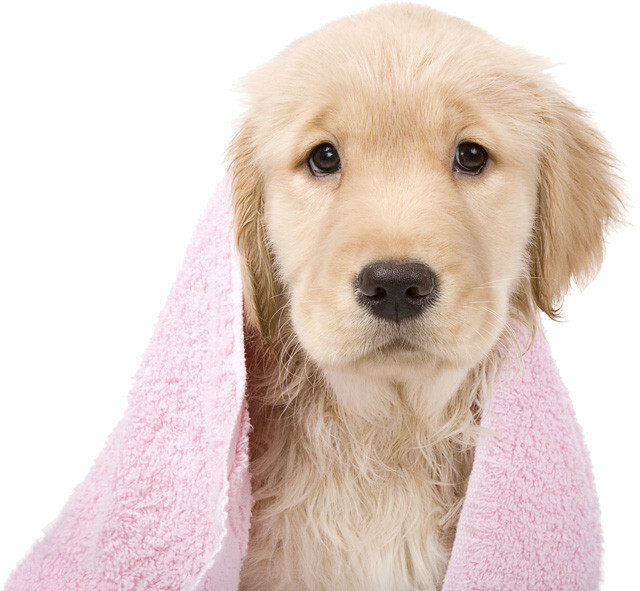 Then one of our rich, indulgent shampoos actively cleanses your pet's skin while removing deep-down dirt and dander . Blueberry Facial....$10.00...This gentle, tearless facial formula is calming, soothing, and aroma therapeutic. It not only takes advantage of the wonderful antioxidant properties of blueberries, it smells great too. A gentle facial massage is given with the application. Your pet is special, so why not treat your dog to the best? If your pet has a flea or tick problem, we can bathe your pet using a natural flea & tick shampoo and also treat with Frontline Plus. Frontline Plus treatments will last for one full month.......$20. De-Shedding Treatment: $25.00 and up depending on breed & size...Our de-shedding treatment will get all that shedding hair out in our mobile grooming salon instead of it coming out all over you and your furniture over the next several weeks! The process starts with a special shampoo that helps loosen the dead and dying undercoat. This shampoo is left to soak in for several minutes before being blown off with our high velocity dryer. The slippery shampoo allows the dead coat to slide out as the air is forced through. We then rinse thoroughly, and repeat the same process again. After your pet is completely clean and dry, we use a de-shedding tool, along with slicker brushes, combs and rubber curries to remove all of the dead hair. The thick furry undercoat is significantly reduced, leaving the shiny top coat behind. Not only does this process reduce shedding, but it also brings out the beautiful luster in your dogs coat.